Why Shouldn't You Leave Your Car Running While Pumping Gas? With the winter months bringing cold weather across the United States, it can be tempting to leave that engine running while refueling so you can return to a toasty warm vehicle. Maybe you came across one of those “TURN OFF ENGINE” signs at the pump and wondered if the sternness is really necessary. If this is you, you’re in the right place. Read on to learn why you shouldn’t leave your car running while pumping gas. Why Shouldn’t You Leave Your Car Running while Pumping Gas? Refueling a running vehicle increases the chances of gas vapors coming into contact with heat or electricity. 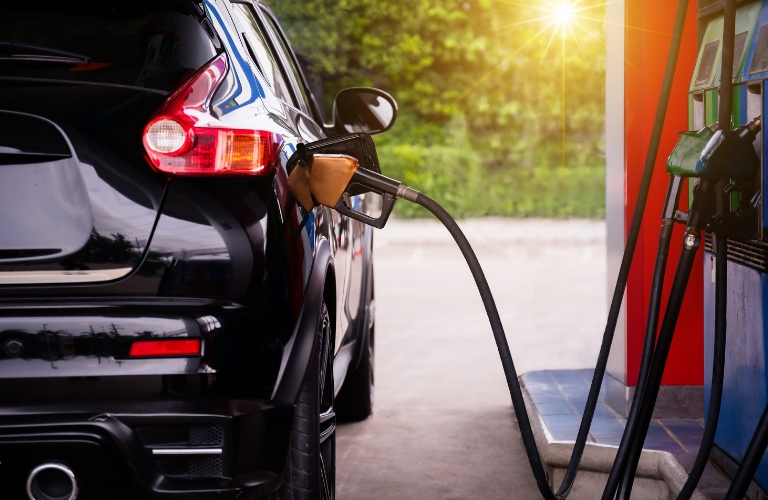 Anytime you top off your gas tank, there’s a chance the gas pump’s automatic stop mechanism will fail, causing your gas tank to overflow and spatter gasoline onto the ground. In this case, it’s best you’re standing next to a vehicle that’s turned off, as a running engine increases the chances of ignition. Some gas station signs even include a warning that drivers should discharge static electricity before fueling. Often, those who leave the engine running will reenter the vehicle during the wait to escape the weather. Reentering and exiting a running vehicle increases your chances of picking up static electricity, especially during periods of cold and dry weather. If the driver goes to remove the nozzle, the static may discharge at the fuel point, causing a flash fire. How Dangerous is a Running Vehicle at the Gas Pump? Though the chance of either event is slim, ignition is possible, and when it does happen, the results can be catastrophic. Not only is leaving your car running at the pump a bad idea—the act could land you with a hefty fine in some states. So, can you get away with leaving your car running at the pump? Most of the time, yes. Is it worth the risk? Absolutely not. For the sake of your wallet and your safety, it’s best to just power down. This entry was posted on Tuesday, January 29th, 2019 at 5:47 pm	and is filed under Tips and Tricks. You can follow any responses to this entry through the RSS 2.0 feed. You can skip to the end and leave a response. Pinging is currently not allowed.